How to Immigrate to Canada Without a Job Offer Letter in 2019? Canada is an ideal country to immigrate as a permanent resident. High quality-lifestyle, scenic beauty, friendly and peaceful communities and growing economy make it a dream destination for those trying to make a new start abroad. Most often people wonder if they would be able to immigrate successfully without a job offer from an employer in Canada and the answer to this particular question is most certainly positive. A prospective candidate can easily get a permanent resident card without a job offer prior to their arrival. Canada immigration offers more than 60 programs to migrate to Canada. There are many categories that may prove to be appropriate for the skilled professionals to qualify without an offer letter, mostly on the basis of their education, skilled training, previous work experience, language proficiencies etc. Express Entry is one of the easiest and most popular programs to apply in. This transparent program is point-based and the most deserving candidates can be assessed in this method. How to apply for express entry? Once the candidate becomes eligible to enter the Express Entry Pool, a job match account is made. A job offer is considered an asset, but not a requirement. A candidate can continue searching for a suitable job after immigrating to Canada. If you find this method the most suitable, check your eligibility and points today. Get in touch with a Canada PR consultant and know more about Federal Express Entry. QSWP is an online as well as an offline method that offers immigration to the Quebec province in Canada without any work permit requirement. It is an easy way to get selected for CSQ (Quebec Selection Certificate). How to apply for Quebec Skilled Workers Program? An application has to be made to the Quebec government for a Certificat de sélection du Québec which is an official certificate validating your selection. The selection is made after Quebec assesses the application according to the government’s own rules. After acquiring the certificate, the candidate can apply to IRCC (Immigration, Refugees and Citizenship Canada) for a PR visa Canada. A medical test and police verification certificate may be required during the process. Is this the program that is the most suitable for you? Call a Canada PR consultant for further guidance and immigrate to Canada today. Many provinces of Canada nominate immigrants on the basis of their separate rules and procedures under PNP or Provincial Nominees program. The immigrants are most often selected on the basis of their age, work experience, education, language proficiencies etc. Many candidates apply through Express Entry under PNP for immigration. How to apply for Provincial Nominees Program (PNP)? The candidate must apply to the desired province for a nomination. Every province has its own set of rules that can be changed without any prior notice. Once the province nominates you after proper assessment, the candidate can apply to CIC for a Permanent Resident visa. Did you find Provincial Nominee method or PNP the most appropriate? Check your eligibility today and call a Canada PR Visa expert for full guidance regarding Canadian immigration. One can get a Permanent Resident Visa card through the family sponsorship program. This program is for those candidates who have a family relative already living in Canada as a Permanent Resident. How to apply for Family Sponsorship program? The Sponsor must be a Canadian Citizen and an authorized Indian under the Canadian Indian Act. Once the application is assessed and nominated, the candidate can apply to CIC for a permanent visa to Canada. Do you have a family relative living in Canada as a permanent resident? Get your own PR visa today by applying under Family Sponsorship Program (PNP). Get in touch with our Canada PR consultant for expert advice. Canadian Experience Class (CEC) is a category under which those candidates who have at least 1 year of Skilled work experience by a Canadian employer. This program is well suited for foreign graduates or temporary workers looking for a permanent residency in Canada. How to apply for Canadian Experience Class (CEC) program? The candidate is required to fill an online Express Entry form giving genuine details of age, work experience, language abilities etc. The application is assessed and the candidate enters the Express Entry pool. Here the candidate who is already falling under CEC does not need a new job offer in order to apply for permanent immigration to Canada. The highest scoring candidate on the basis of age, languages, work experience etc gets an invitation to apply for permanent residency Canada. Are you a foreign graduate or worker living temporarily in Canada? 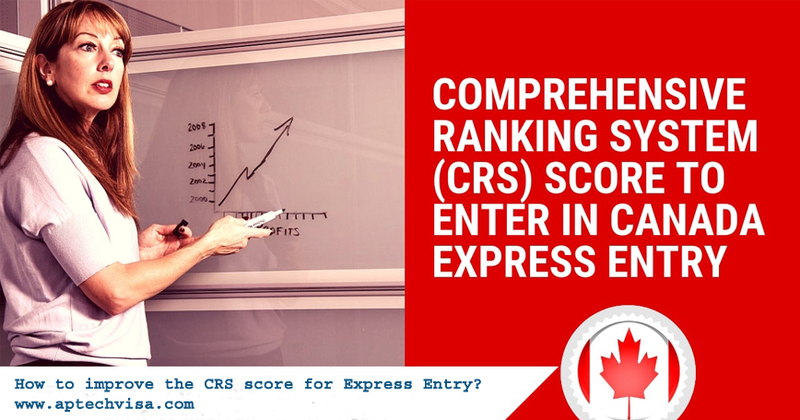 Check your score and eligibility today to get a PR visa Canada. Call a PR Canada consultant for assistance. The processing time is the same for all foreign candidates if one is planning to immigrate to Canada. The process time may differ from program to program and can change at any time by the Canadian government. If you want to migrate to Canada without a job offer letter from a Canadian employer, you can discuss these processes and other options with a Visa counselling expert at a leading consultancy: Aptech Global Immigration where a team of experts is ready to make the task of immigration to Canada easier and accessible. Call today and apply for your Canadian permanent resident card as soon as possible. You can send your Canada PR query to us on info@aptechvisa.com, delhi@aptechvisa.com or call on +91-7503832132, +91-8447281370. Is Job Offer Required For Immigration To Canada ? What Is Job Offer Within The Context of Canada Immigration ? Are There Different Type of Job Offers That a Canadian Employer Make ? Is There Any Disadvantage to Obtaining Canadian Job Offer ? What Are The Advantages of Obtaining a Permanent Job Offer From a Canadian Employer ? Just writing to recommend Aptech Global. For my Canada PR visa, they took just 6 months! Personally, I’m not a follower of going around and submitting applications here and there. This is why I was more than happy to work with this team. I got a wide array of services and all I had to do was pick the one I preferred. They even have complimentary services. Their services are time-efficient, they save a lot of effort, and they definitely know what they’re doing. I just want to say thank you for making my process so easy for me! I am very grateful to your wonderful group of staff!